We are told there is no history of recreational use of our rivers which would support a right of navigation. I don't believe it. There must be many hundreds of examples of photos of such use. There are many others. If you know of some, please post them here. Last edited by KeithD; 23rd-February-2015 at 08:55 PM. Although it has the best intentions, this thread could backfire on us if we can only come up with a handfull of photos. I'm not being negative but it implies that the evidence we claim to have is very thin on the ground. Just a thought. feel free to remove this post. When one considers the wider factors having one photo tells quite a lot. How many cameras were around prior to 1930? Very few and were generally owned by the wealthy. 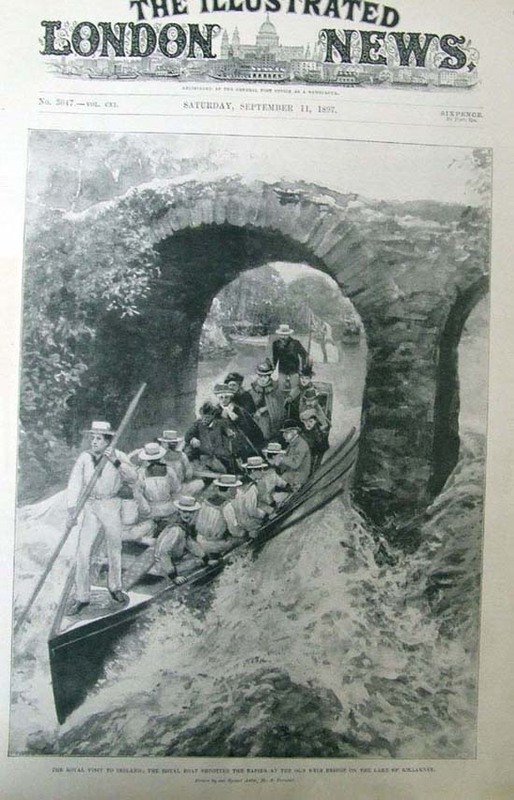 How many of those owning cameras were also canoeists or boaters? Even less. So what are the chances of finding hundreds of photos of people in canoes and boats on rivers in general let alone particular ones? Very slim. Most photos are taken for personal records so even if there were hundreds out there how easy would it be to find them? Extremely difficult. We've got three so far - that is pretty good. Quercus beat me to it whilst I was giving my mum a tip on cooking polenta! I had typed, (but not hit post reply whilst aforementioned "how to cook polenta" discussion took place): That's a fair point ... but playing Devils Advocate with that idea , is it not more the case that given the very limited penetration of camera's prior to about the 1960's, the fact that any pictures (of recreational water usage) exist prior to 1930, shows how much value the photographer felt the subject to have? It'd probably be worth including narrative sources to support prior use too, where there is good enough provenance. Last edited by monkey_pork; 9th-November-2011 at 04:22 PM. The Thames comes up a lot in searches online, Richmond and Windsor especially so. Last edited by monkey_pork; 9th-November-2011 at 04:34 PM. Boating on the River Trent. People on the banks of the Trent near Barton. You're not trying hard enough! Last edited by KeithD; 9th-November-2011 at 05:04 PM. I have sixty photos. They were used on lecture tours about the Canoe-Camping Club and its activities in the 1930s. The originals were glass slides, some of which were cracked, and some damaged so badly that only a portion of the slide can be used. I have no idea where they were taken. There were no cameras when this canoe was in use! 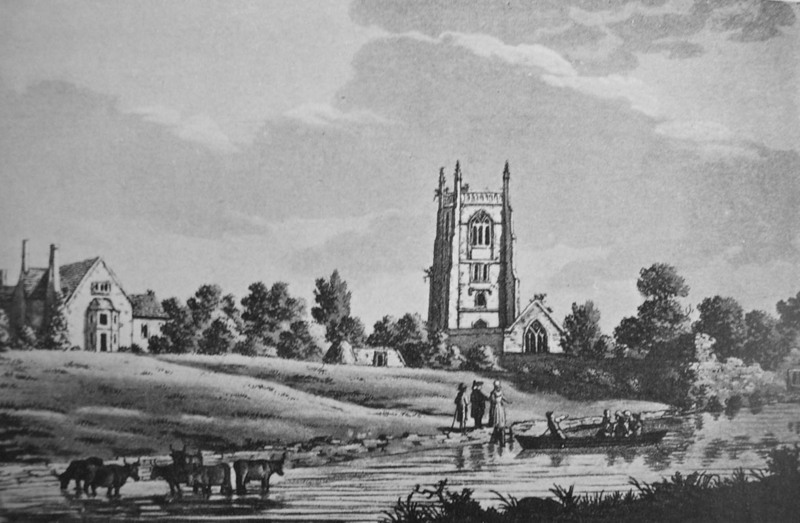 Kempsford Church (on the Thames upstream from Lechlade, 1791 Samuel Ireland. Last edited by KeithD; 23rd-February-2015 at 04:47 PM. Last edited by KeithD; 23rd-February-2015 at 05:02 PM. That will be the River Avon again. Last edited by KeithD; 23rd-February-2015 at 04:52 PM. Another courtesy of the Hants County Council archive. I'm sure there must be similar public catalogues up & down the country. Last edited by KeithD; 23rd-February-2015 at 04:59 PM. OK so I stand corrected I'll fetch me coat. Some cracking pics coming in, I'll do my best to contribute some. Coracle Fisherman. 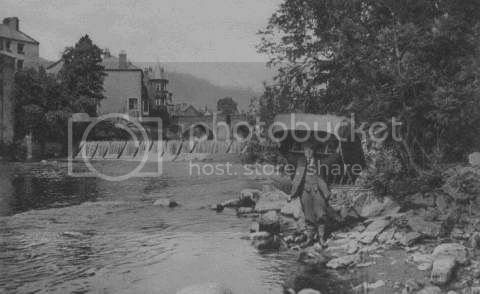 LLangollen. Knowing what is just below him, I assume he's a Div A paddler then? Anyone recognise this stretch of river? 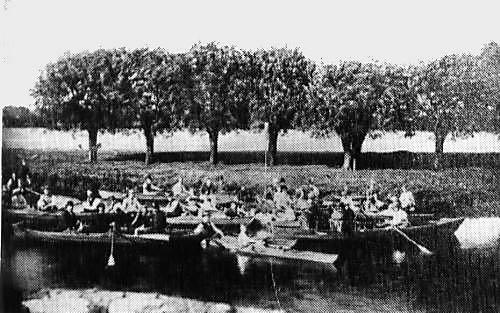 Considering the close correlation between UK and US rowing from 1860 to the present, I would be very surprised if a similar correlation did not apply to recreational canoeing. There was an explosion in such canoeing in the US in the late 1800s, but it was somewhat staunched by growth of automobile use. You seem to be making good progress in finding old photos and paintings. Another angle is to try to document the history of the "privatisation" and enslavement of rivers solely for angling purposes. It may be that paddlers have been slowly thrown off some rivers, perhaps by restrictions at put-ins and take-outs. OK, I admit it's in Ireland (and I won't go into the history & politics), but the British Royals are seen having a ride down the rapids. The OP refers to recreational use - I didn't think it made any different what kind of use it was. Use by the Romans has been quoted as evidence. The other point which has been suggested is to find evidence of old fords. These would give us a right of way to the water. There is considerable evidence of a right of way on the river, but it's well established that there's no general right of way across private land to get to the river. 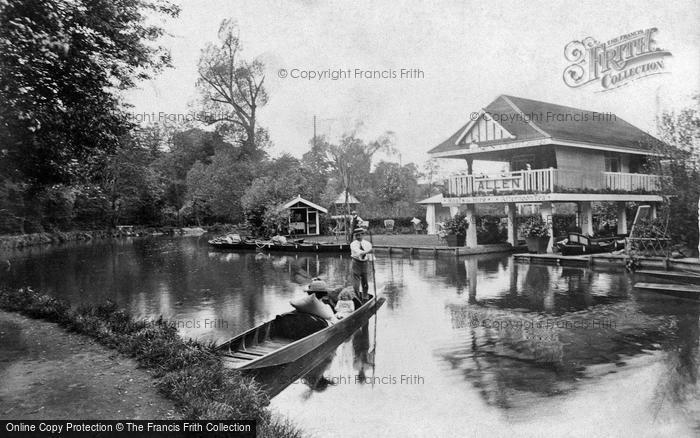 The Francis Frith website might yield more historical images, e.g. http://www.francisfrith.com/newbury,...-c1965_N61136/ (look closely, keeping in mind that the K&A wasn't reopened until 1990). 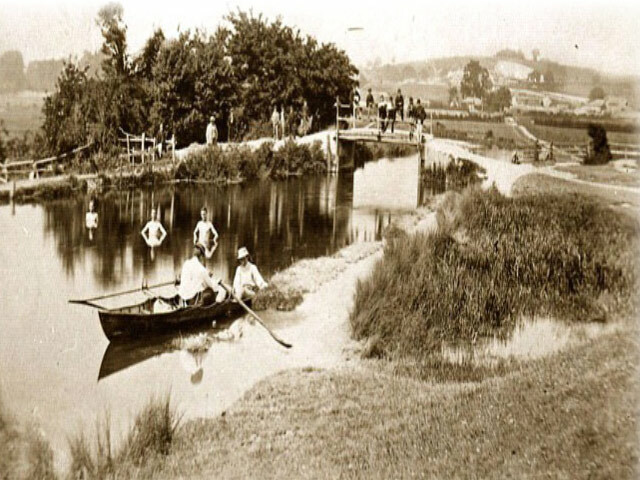 This is a view looking upstream from the Silk Mill at the bridge over the River Test at Winchester Street, Whitchurch. Last edited by KeithD; 23rd-February-2015 at 05:27 PM. 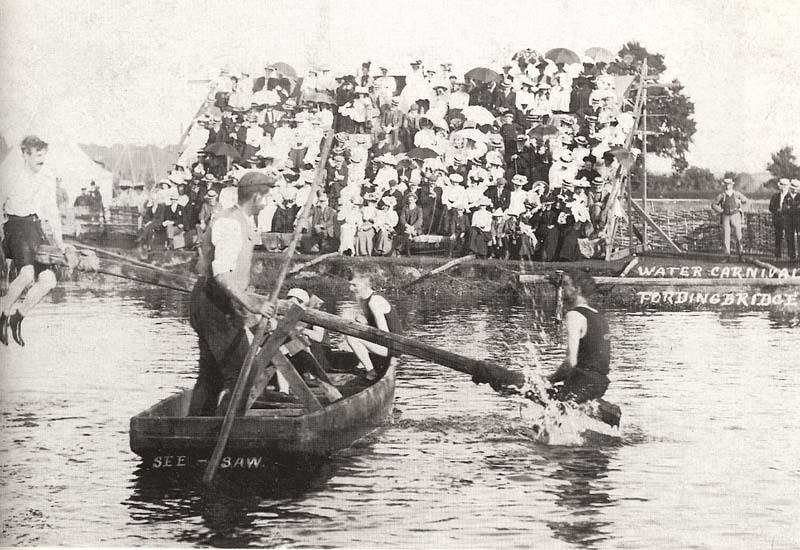 "Swan hopping as photographed in 1886 - with the Superintendent of Police in the first boat. The party would row along the river, starting from Lucy's Mill as far up river as Tiddington, in search of swans." Last edited by KeithD; 19th-November-2011 at 06:00 PM. British Pathe movie clips (and there are plenty of them). 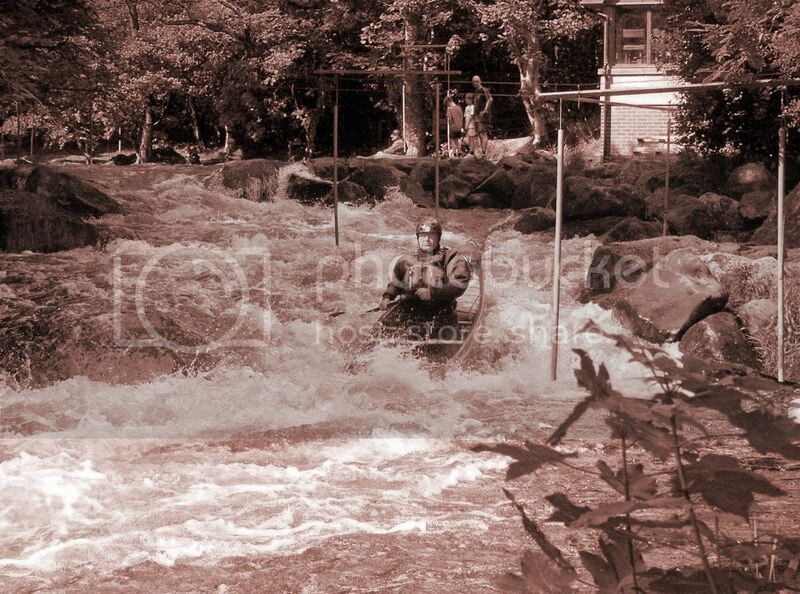 Appreciate that it's not pre-1930, but IMO it's important to show continuity of use, so scroll down here for pics of paddling on the Wensum in the early 1960's. There do not appear to be any pictures but in the Mildenhall, Wiltshire, parish magazine, The Parish Pump, there is a series of letters by the Rector's family, the Soames, to some of their relatives who have gone to South Africa in the 1880s. In one of these letters the Rector records having given a canoe to the villagers to paddle around on the River Kennet through Mildenhall. The Kennet is one of the most fiercely protected trout fishing rivers now but was obviously open for recreation in the 19th century. Just south of the river from Mildenhall (or 'Minal' if you're local) is The Werg Hatchpool, on the very private Crown Estate fishery. Not sure if it's still there but a couple of years back there was an old kayak lying next to the fisherman's hut. Across the small lane that gets to this location is the field that was once the site of the Roman tax collecting town of CVNETIO... from which grain tax was once floated downstream on flat- bottomed boats to The Thames in such proliferation that they had to triple the ships carrying it on to the Legions in Germany. A little further downstream at Axford a local farmer has more recently complained that "Canoeists were an annoying problem" (D5, page 136 of 145), and still further downstream kayaks have also been spotted in Ramsbury, albeit not in action at the time. Lived in Minal for over thirty years. Of course there is the rare canoeing on the Kennet to the displeasure of the fishing syndicates and the River Keeper. 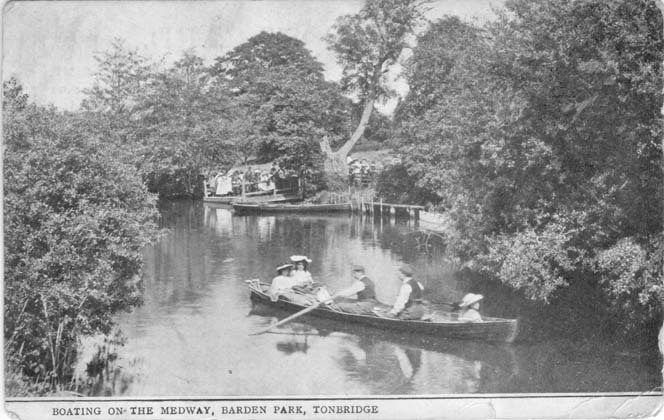 My evidence was that recreational use of the river was accepted in the 19th century by a major local establishment figure. 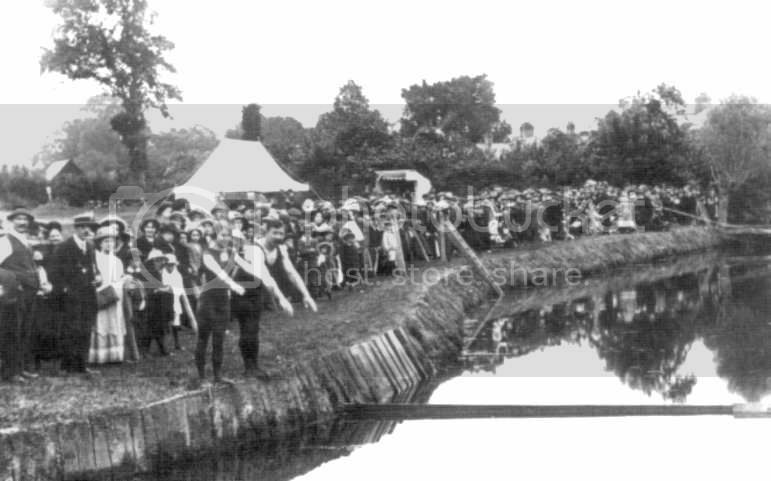 The Kennet through Marlborough has been the scene of raft races in recent times although somehow riverine rights accrued to the Frees family and were later sold. Marlborough College had a slalem course on the river but they may have laid claim to do so because of owning neighbouring land. In other Boroughs along the river there is still free fishing in parts of Newbury and Reading to my personal knowledge likewise unhindered paddling, permits needed on the Kennet and Avon canal or BCU membership. 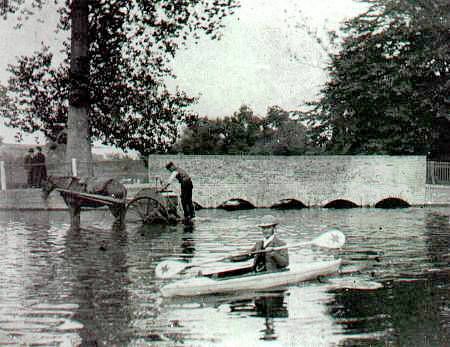 Early guide books to the river suggested leaving the canal for the river at Newbury. Eleanor Barnes, the song remains the same ! these pesky fish bother's, 'draining the atmosphere of joy' Which is a shame, but hopefully not for much longer. shooting the weir, looking like an extra from Downton Abbey. If you haven't opened the link to Barnes' book, there are many illustrations and photo plates. And I have also discovered that there is a modern reprint available. I told the keeper we must see the beauty of his river ere our fleeting life be spent, and that we came on literary purpose, not for fish. In a prolonged debate, although devoid of superficial charm, I found beneath his pre-historic manner, some small store of gentleness. We exchanged cards—his name inscribed upon a label, mine placed in his hand with courteous message to My Lord. And seeing him reduced to indecision, I closed the interview with compliments, and paddled on before he should have time to reconsider trespassing or us, and from the distance, my Sabrina waved a debonair farewell. Looks like paddlers have long been adhering to a courtesy code in the face of initially obnoxious objection. What a remarkable find that Barnes' Book is! Fascinating reading, bizarre, to me at least, style of writing but exactly the right spirit of exploration. course, we would at leased be reading from the same song sheet. a deterioration in access. Possibly the BCU have already done this but I am no longer a member having given up grudging inland waters for the tidal rivers, estuaries and inshore waters of Cornwall. Bliss also spelled it "Llanwllwni" in the text. 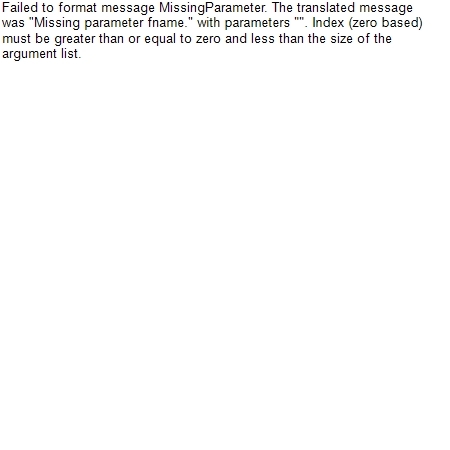 I'm sure it was fixed in later editions. They had fields to play in [...]. The river was close and we could borrow a canoe. At once the entire Graves family [...] came to call, in a canoe. 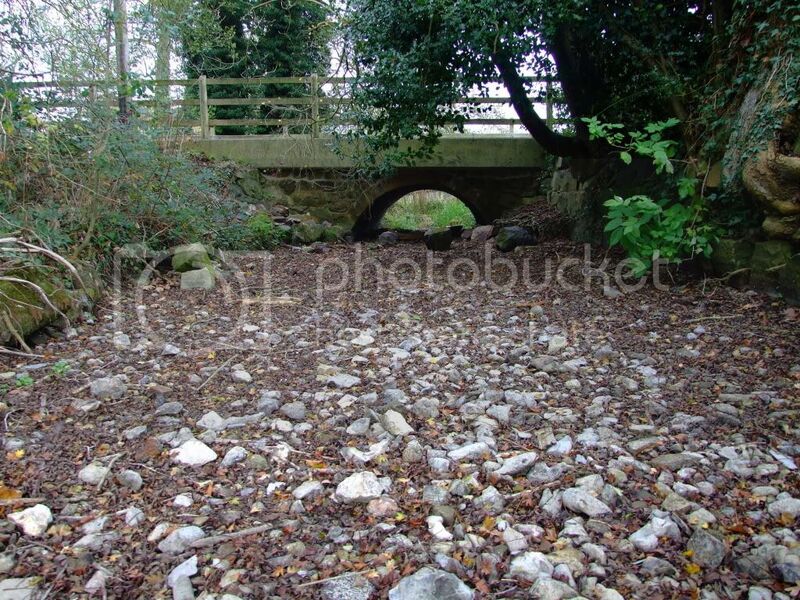 ... that said, the rivers thereabouts might not have any access issues of course. There is a book called Canoeing by William G Luscombe and Louis J Bird, I have an 1948 edition, but the first edition was brought out in 1936. So thinking about how long it would take to write up the book and publish it we can safely say that there was recreational paddling before 1936. Oh also on page 27, they mention that 50 years ago Messrs. Salter Brothers of Oxford began making canadian canoes. 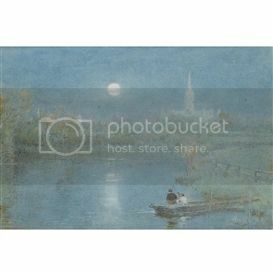 Thats about 1880. Last edited by Lloyd; 6th-April-2012 at 06:37 PM. That's excellent Lloyd, thanks. I love the pictures. From Winchester Museum collection. Photos taken about 1875. Ha, ha! Do you recognise the boat?